Assisted the State Fire Marshal’s Office in establishing a framework for testing ignition-resistant construction proposed for the 2010 update to the California Building Code, Chapter 7A. Final draft 5/21/2009. 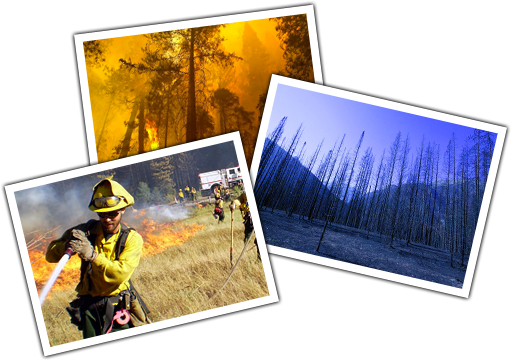 Michael Scott-Blair’s two articles in the July 9th Sentinel on retired Chief Steve Butler’s efforts to raise fire awareness and on his fire equipment company raise a number of important issues that people living in the San Diego backcountry should think long and hard about. Twenty years before the Cedar fire roared through San Diego County, Australia was devastated by the Ash Wednesday fires, which destroyed 2,463 homes and killed 76 people. In the aftermath of this tragedy, the Australian fire services made an unprecedented and dramatic move: They abandoned their previous assurances to the public that they would always be there to protect them from catastrophic fires. Instead, homeowners in “the bush” would be responsible for the protection of their property. It is up to the homeowners to prepare – and even to defend – their own homes, while the fire services engage closely with the communities to teach them how.